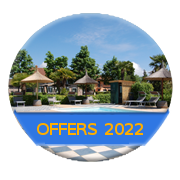 Discover the special offers for the summer 2019 in our residence and find out the one that's right for you. Take advantage and enjoy a relaxing holiday in the countryside oasis lagoon of Old Valley. Choose the period, the type of apartment and the duration that you prefer and come to discover the Brussa, one of the most interesting landscapes around the coast of the Northern Adriatic.